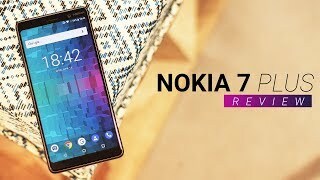 Nokia 7 Plus is the latest phablet from Nokia that will be officially here soon. With the MWC 2018 coming nearby, the rumor mill is pretty busy and we have already learned quite a lot about this phone before the official announcement. To find out more about this upcoming phone and the Nokia 7 Plus Dubai price, keep reading. As mentioned earlier, the Nokia 7 Plus will be a phablet and it will show up with a 6.0-inch screen showing 2160 x 1080 pixels resolution and 402ppi of pixel density. While the display is big like other near bezel-less display phones, the screen-to-body ratio could have been better. It’s also the first phone from Nokia that will include an 18:9 aspect ratio. It will be quite a good-looking phone for phone in this budget but won’t include glass back like some of the latest phones. We don’t know much about the exact dimensions yet and will have to wait for the Nokia 7 Plus release date UAE. Right after it’s release you can look for this phone in two different colors: black and white. If you are in the market for a phone with near bezel-less display, there is the Huawei Mate 10 Lite and Huawei Nova 2s you can check out. 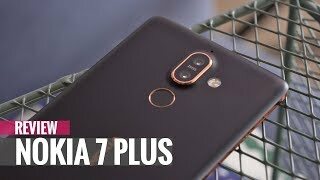 A Dual rear camera is getting more and more common nowadays in mid-range phones and the Nokia 7 Plus will be packing two cameras as well. One of those cameras will be a 12-megapixel one and the other one will be a 13-megapixel camera. These cameras will show up with Carl Zeiss optics, 2x optical zoom and dual pixel phase detection autofocus. It will be capable of capturing 4K videos at 30fps which is a good feature to have in a mid-range phone. The front camera will be a whopping 16-megapixel camera with f/2.0 aperture which is also surprising. For those of you who are looking for the best camera focused phone available at the moment, there is the Google Pixel 2 XL and iPhone X you can check out. Just keep in mind that these phones are quite expensive compared to the Nokia 7 Plus Dubai price. This is a mid-range phone we are talking about which reflects in the specs under the hood as well. The Nokia 7 Plus will be packing a Qualcomm Snapdragon 660 octa-core processor paired with an optional 4 or 6GB of RAM. Users will only get a 64GB built-in storage option but it can be expanded to up to 256GB using the microSD card slot. The battery size of the phone is still a mystery at this point but we do know that it will support fast battery charging. The Nokia 7 Plus release date UAE is still far away but we are hoping to hear more about this phone at the big event on February, 2018. There is the latest Xiaomi Mi Max 2 if you are looking for a phone with giant battery. Like all the other information here, this one is coming straight from the rumor mill as well. The Nokia 7 Plus will be available for about AED 1300 when it’s here. 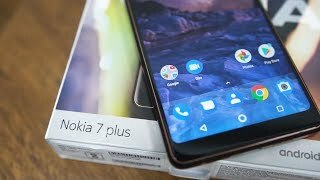 If everything goes according to plan, the Nokia 7 Plus release date UAE can be expected sometimes in May or June, 2018. 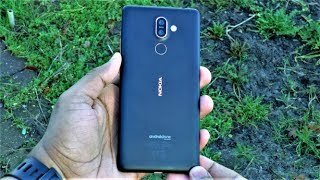 Nokia 7 Plus Review | Mid-range marvel? 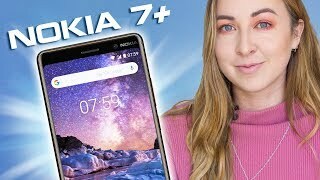 Nokia 7 Plus Worth Buying In 2019? 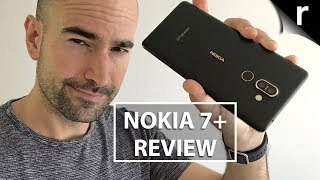 Nokia 7 Plus Review - Flagship Challenger! 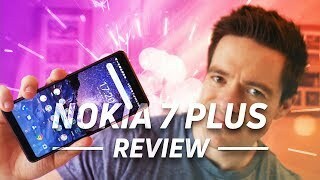 Nokia 7 Plus Review - Pros, Cons & Everything In-between! Price has decreased 65% from AED 1999 on 2018-04-27 to AED 700 today.